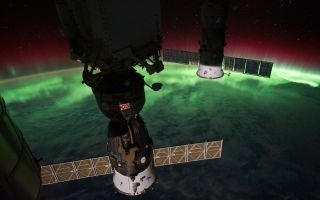 Astronaut Ron Garan tweeted this stunning photo of an auroral glow over the Earth. The stunning space wallpaper was taken by fellow spaceflyer Mike Fossum (@astro_aggie) on October 5. Garan wrote: "@Astro_Aggie is changing the way us earthlings view our planet. Great snap Mike! #ISS #NASA."